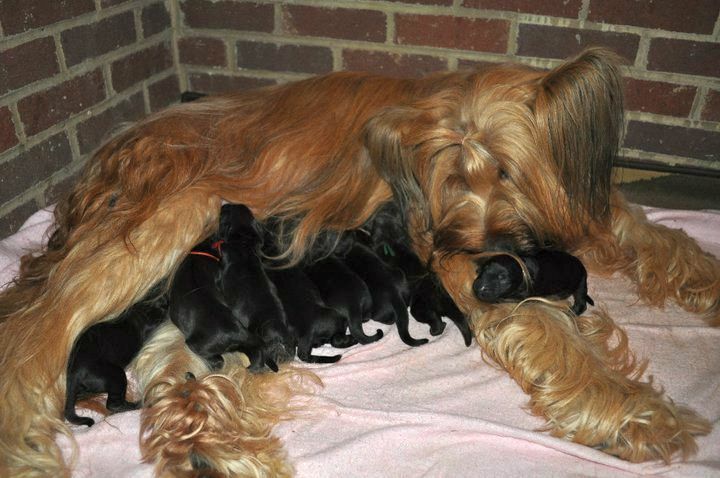 Wally’s briard, Cedar, had nine healthy pups yesterday. Seven black males, one tawny male, and two black females. They are adorable little fuzzy potato-like sausages. Congrats to Cedar and Wally! Can’t wait to see Marin playing with all her new little buddies at Christmas.